Take the time to meet face to face with your government contacts - your ministries of health and other ministries such as finance or foreign affairs - to make sure they are aware of the meeting taking place this year and share campaign priorities with them. Negotiations on the content (outcome document) of the meeting aren’t expected until May. This means you should be taking the time now to raise awareness of the meeting and cultivating relationships, before advocacy efforts ramp up during the negotiations on the meeting's outcomes. NCDs are not an issue confined to the health sector and require the highest level of political attention. One of the key priorities for the HLM is ensuring that Heads of State and Government attend. We invite you to use, adapt or borrow from our template letter (click these links to download now in - ENGLISH - FRENCH - SPANISH) of invitation addressed to Heads of State and Government. Reach out to us at [email protected] if you would like to add our logo and have it co-signed by the NCD Alliance. The Independent High-level Commission on NCDs is due to publish the first draft of its report by the 1 April. A web-based public consultation will then be open until 20 of April – keep an eye out for your chance to contribute! This report is a key input into the HLM process. It calls for bolder commitments and makes recommendations on key NCDA campaign priorities such as the urgent need for greater investment for NCDs and scaling-up implementation of WHO’s Best Buys, including fiscal measures such as taxation of tobacco, alcohol and sugar-sweetened beverages (SSBs). It addresses key barriers to progress that advocates should be familiar with. For more information, read the news piece on the NCD Alliance website. We are about to launch a campaign to collectively tell governments that we have all had enough. Coming soon: a focused campaign website with information and resources (including a social media toolkit), news and updates, messaging to support your advocacy, and a space to share what’s happening in your country and region in the lead up to the HLM. All of our resources and publications relevant to the HLM are collated on our website. These include a summary of our six key campaign priorities along with an infographic, an FAQ document on the HLM itself, a summary of our priorities for HLM modalities and more. 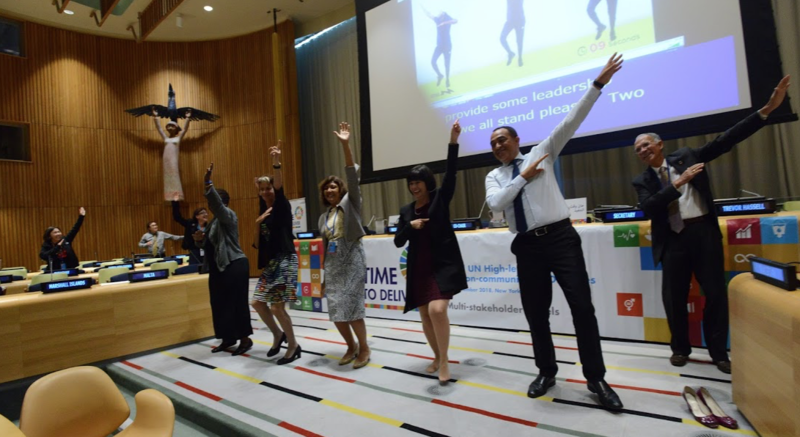 The High Level Political Forum, which is the main platform for follow-up and review of the Sustainable Development Goals, will take place 9-18 of July this year, covering Goals 6,7, 11, 12, 15 of the SDG agenda, presenting several overlaps with NCD-related priorities. The ministerial segment will take place 16-18 July. 48 countries have indicated that they will be presenting Voluntary National Reviews to share experiences, including successes, challenges and lessons learned, with a view to accelerating the implementation of the 2030 Agenda. If your country is listed, we would encourage you to get involved with the process and investigate how you can take part and advance NCDs in the discussions. For more information, please refer to this Q&A document. Another way to get involved would be by participating in one of the four upcoming Regional Preparatory Meetings taking place over the coming weeks. While specific opportunities for civil society engagement may differ from region to region, we would strongly recommend looking into potential avenues for getting involved. Are you currently active or planning to start working on national or regional advocacy activities targeting the HLM? Keep us updated on what you are hearing. Get in touch with us at [email protected].